webuyanybike.com – As a group of motorcycle enthusiasts who have had a great deal of pleasure from the biking community over the years, we know how to make selling your motorbike easy. We Buy Any Bike are the UK’s top bike buyers, with our fleet of vans collecting from all over England every day of the week. We now have over sixteen years experience in the motorcycle industry and offer a professional service to all our customers. If you’re thinking, who will buy my motorcycle?.. we will, regardless of your bike’s age, condition or value. 2-Wheels-Moorings – Bikers B&B in the beautiful Meuse Valley. Mayenne B&B Tours – 15 mins from Laval, 40 mins from Rennes, No winding gravel roads to negotiate at the end of a long Journey Biker Friendly. Orchard Farmhouse – Biker friendly B&B including personalised motorcycle, car or walking tours on the Historical Somme. Motorhotel La Mouche – It’s a bikers place with B&B and a small camp site in the north/east region of France, in a area called the Vosges.Close to the ballon mountains. Biker Friendly B&B, Camping and Gites in the Pyrenees Atlantiques. 4 when you are looking to ride those Col’s and need a good base to ride out from. Pyrenees Holiday Accommodation – Gary & Jo welcome bikes also. Brittany Biker Breaks – Set in a small hamlet in rural Brittany only 30 mins from St Malo ferry port, this biker friendly b & b offers delightful accommodation, home cooking and secure garaging and workshop facilities. Refuge pour Motards – Thinking of visiting the Millau Viaduct after Ridersrest? then this is the place to stay. Bikers Retreat – Mick and Ruth, Invite you to come and explore the beautiful Brittany; Lower Normandy; Loire regions of France. Les Cheres Meres Bed & Breakfast 10km from A28 motorway; 15 mins south of Le Mans in the Sarthe, Pays de la Loire 6.5 miles to the 24hr racetrack, ideal for club meeting venues or riding holidays. Wild One Tours – Understand bikers don’t travel to far away places just for a long ride. Like any tourist they want to see and do a lot, making informed choices which reflect their individual tastes. We design bespoke tours and offer an escorting guide service. White Rose Tours – Big enough to look after you small enough to care. Burlatis Motorcycle Tours – Specialising in European Motorcycle touring holidays. Our aim is to give you a holiday experience you’ll want to repeat again and again. Ride With Us Tours – We specialise in European Motorcycle Tours both guided and self-guided. Flash Tours located 60 kms south-west of Poitiers, or 22 kms due east of Niort, in the Deux-Sevres departement of France. The town is Melle and like our welcome, it’s great! H-C Tours We offer motorcycle tours and motorcycle hire on all 5 continents, and whatever your experience, whatever you want, and whatever your budget, we have something for you. Hispania Tours – Exclusive motorcycle tours and bike hire in Spain, Portugal & Morocco. Dirt Tracks France – The off road experience – Guided routes for all competencies from beginner to expert. Hidden Vietnam Motorcycle Tours – Description: See the hidden Vietnam on two wheels, the best way to access and appreciate the country and its people. Site features video description of tours. French Classified – Business, property and personal ads for France. Free ads for motorcycle sales and a list of biker friendly accommodation and motorcycle clubs in France. Bikers Bed And Breakfast – Located in the perfect spot to explore West Cornwall by bike, visitors welcome all year round. Motorbike-Search-Engine – UK Motorbike Web Directory and Search Engine, one of UK’s fastest growing motorbike websites. We are a fast-growing motorcyclewebsite design company. Offering bike website hosting and basic website design to complex database sites and SEO…to fit all budgets! Global Motorcycle Touring – is an independent UK based ­Motorcycle Touring Company specialising in fully ­guided high quality motorcycle touring holidays throughout ­Europe. Sliders Guest House – Brendan who shares YOUR passion for motorbikes, and the Nurburgring. Enjoy a friendly, atmosphere with like minded people who visit the Eifel region of Germany to experience the thrill of the Nurburgring. Biker Wales – the Welsh Bike site. ALPHA SUSPENSION SET-UP, for bespoke motorcycle handling. gps4touring – Find places of interest throughout Europe, all with GPS coordinates. 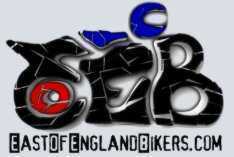 www.inter-bike.com becomeswww.inter-bike.co.uk for a new release of its popular bikers website. “Featuring an on-line motorcycle shop. Tour the Central Massif – One of Frances best kept secrets and superb biking roads. This site has route descriptions, maps and garmin route downloads for the area. Bikerloans: Motorcycle Loans and Finance for UK riders. Motorcycle Dot Helmets – the best DOT motorcycle helmets on-line Choose from a huge variety of high quality helmets at reasonable prices to stay safe. Motorbike Accidents- We are a Motorcycle compensation claim company offering FREE independant legal advice, dealer warranty claims and much much more. Motorbike Jackets Whether you’re looking for a leather jacket, a sports jacket or textile motorbike jackets, we have a a range sure to catch every-one’s eye. Beach Bikes – Stylish beach cruiser bicycles from majorbrands like Electra, Nirve, Schwinn, Felt and Kustom Kruisers. As a group of motorcycle enthusiasts who have had a great deal of pleasure from the biking community over the years, we know how to make selling your motorbike easy. We Buy Any Bike are the UK’s top bike buyers, with our fleet of vans collecting from all over England every day of the week. We now have over sixteen years experience in the motorcycle industry and offer a professional service to all our customers. If you’re thinking, who will buy my motorcycle?.. we will, regardless of your bike’s age, condition or value.